Russian chocolate is now being exported to Asia. When the Russian currency began depreciating two years ago, foreign tourists started to spend more on local food products. A cheaper ruble has also made it profitable for Russian food manufacturers to export their products to Asian countries. Every time Chinese President Xi Jinping visits Russia, he asks for some Russian ice cream. As a result of this craving, Russian President Vladimir Putin presented a whole box of ice cream to his Chinese counterpart at the G20 summit, which was held in Hangzhou on Sept. 4-5. Chinese tourists share their leader’s love for Russian ice cream so much that there are rumors that China is planning to build its own Russian ice cream factory. Consumers from across Asia are increasingly buying Russian food products thanks to a recent growth in exports from Russia. Alyonka, Babaevsky and Rossyia chocolate bars, which are popular among tourists, are now being exported to Asia. “Alyonka is the most popular brand of chocolate that is being sold in China, but Babaevsky and Vdohnovenie chocolate bars are also becoming popular,” says Denis Usalev, marketing manager of Uniconf, which owns all three brands, and is the largest confectionery holding in Eastern Europe. He adds that sales of Alyonka grew six-fold year-over-year in China in 2015 and the company expects to see even more growth in 2016. 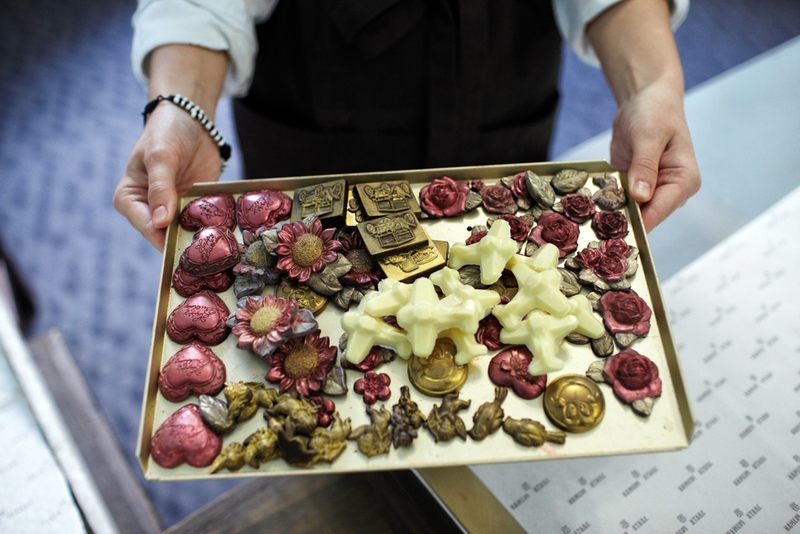 Chinese consumers can buy Russian chocolate through ecommerce platforms as well as in local shops. Russian companies are also looking beyond China, and are obtaining Halal certification to compete in Muslim countries in Asia. The Russian confectionary industry is developing new products specifically for the Asian market to cater to local tastes. The Jubilee sugar cookies brand was launched in early 1913 and gradually became very popular in Russia. In 2007, Mondelēz International Inc acquired the brand and renamed it to belVita Breakfast. In 2015 belVita Breakfast biscuits were introduced in China and Indonesia . The company has become a global breakfast icon, with sales growing at about 20 per cent annually over the last few years. The organic food market segment has been growing rapidly for years. In 2015, Take a Bite was launched in Hong Kong, China and Singapore. The Russian company relied almost exclusively on retail sales in local super markets, but today buyers can purchase Take a Bite from the TMALL online store. Another Russian healthy food brand ECO botanica, which is owned by Uniconf, is also looking to tap into the Asian market. The leader in the baby food market in Russia, Frutonyanya has also entered the Chinese food market. “We’ve already received two 40-feet containers of Frutonyanya products and are now waiting for the third one,” says Artem Zhdanov, co-founder and marketing director of UChina, which is helping the Russian baby food company enter the Chinese market. The company has more than 200 products including fruit drinks, jellies, desserts, fruit puree, milk and milkshakes. It will launch a separate line for pregnant women and breastfeeding mothers. Baltika, a favorite of former U.S. Ambassador to Russia Michael McFaul, became the first Russian beer to be exported to Asia. It is now available in Vietnam and Malaysia. The Russian beer brewer, Ochakovo established licensed production in Japan in 2016. Since July 2016, the company has been supplying three types of canned beer. Ochakovo has also launched beer exports to China.